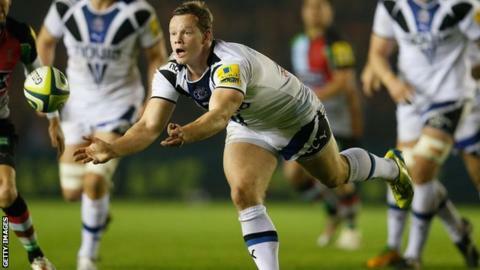 Bath scrum-half Chris Cook has signed a new one-year contract with the Premiership club. The 23-year-old came through the academy system at the Rec and helped Bath win the A league title last year. Cook played for the West Country club in the LV= Cup this season but has spent much of the campaign on loan at Championship side London Welsh. "Chris will be good to go and push the others at scrum-half next year," head coach Mike Ford told BBC Radio Bristol. "I'm expecting a big season for him so I'm really pleased he's here."